âTHIS is the first time me and my band have been to this incredible country and I want to be honest, you are a beautiful country and the people have the most beautiful smiles I have ever seen.â These were the words of British singer and songwriter James Blunt during his performance at the Harare International Conference Centre on Tuesday night as he acknowledged the hospitality he got in the country. The musician rolled his Moon Landing Tour to a full house as Zimbabwe successfully hosted another international artiste of repute. Blunt said the Zimbabwean leg of his international tour was important and he had thoroughly prepared for it. âThe Moon Landing Show started in 2013 in China and we have been to Australia, Canada, Brazil and several other countries and all these shows were practice sessions for this show in Zimbabwe,â he said to wild applause across the auditorium. While the organisers were still smarting from the last-minute withdrawal of John Legend in what could have another blockbuster show following the highly subscribed Brian Adams show at the same venue, the HICC was filled to the brim with an appreciative crowd that is rarely seen at the venue. 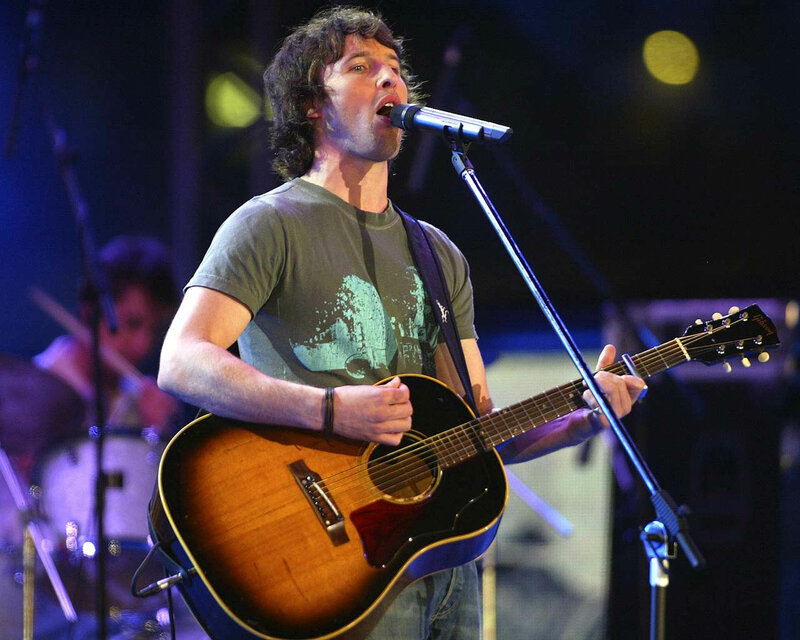 It was also worth noting that James Blunt filled the 5 000-seater auditorium on a Tuesday night with revellers applauding the promoters for a brilliantly planned concert. Blunt, born James Hillier Blount, caught up to the exuberance from the appreciative crowd when he hit the stage shortly after 8pm, dishing out the best from his repertoire of hits. Starting the show with the hit song âFace The Sunâ, Blunt continued to rock the crowd with such songs as âBlue on Blueâ, âTomorrow Comesâ, âThree Wise Menâ, âCarry You Homeâ, âSatellitesâ and âI Love Youâ. The crowd went into frenzy when Blunt sang the popular songs âBeautifulâ, âGoodbye My Loverâ and âBonfire Heartâ, which are probably some of the hits endearing well with his Zimbabwean fans. It was not surprising that Bluntâs guitar playing skills, energy on stage and well choreographed and the planned programme impressed the crowd who sang along to some of the popular songs. While Blunt could not resist plunging into the crowd for crowd surfing, the most amazing sight ever to be witnessed at the HICC was the moment all lights were switched off as the British rocker asked the crowd to turn on their cellphone lights. It is just amazing how the cellphone can illuminate the gigantic auditorium that has hosted some of the best shows in Zimbabwe. The James Blunt Show was announced in September shortly after the botched John Legend Show with tickets going shortly on sale at selected outlets in Harare. The venueâs configuration was slightly different to past shows, with the ground floor being general admission for those who wanted to dance and party while the balconies being seated and numbered for those looking for a more distinguished evening. âMoon Landingâ is Bluntâs fourth album and it is about dreams, longing, first love and getting back to basics and rediscovering the power of music to communicate emotion directly and honestly, without too much polish or complication. Blunt has received five Grammy nominations, two BRITS, two Ivor Novellos and a host of MTV awards and has released four number one singles and three world tours with his six-piece band. The musician has sold over 17 million albums and 20 million singles worldwide, over 250 million plays on Spotify and an astonishing 257 million views on YouTube.